Внимание: Моля влезте, за да използвате всички функции. Имате ли регистрация? Регистрирайте се тук. Какво представлява бележника и как работи? Моля, въведете Вашия E-mail адрес, за да направите запитване за нова парола. Wall-hung sanitaryware is the perfect choice for small bathrooms. Not only does it help make the space appear larger, it also makes it easier to clean the bathroom floor as there are no awkward corners to attract dirt. GROHE Rapid SL frames come in a choice of four heights: 82cm, 113cm, 100cm and 120cm. 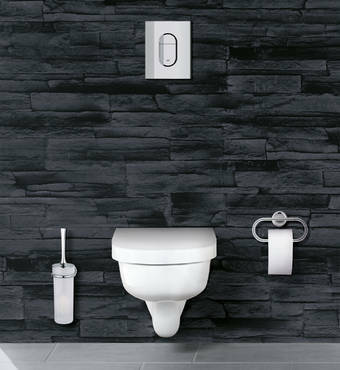 The smaller model is ideal if you need to locate the WC below a window, while their shallow depth means they can be installed in a studded wall or in front of a solid wall and then concealed. Toilet flushing can be activated electronically or manually via a wide choice of GROHE flush actuation plates, or pneumatically with an Air Button. Pneumatic activation means that the button does not need to be attached directly to the cistern so it can be located in a more convenient location. When space is tight, making the most of corners is a priority. 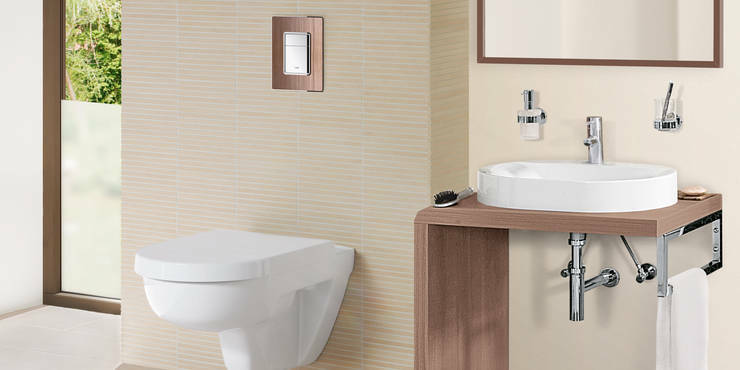 A corner installation set is available for our GROHE Rapid SL basin, bidet and WC frames enabling you to exploit the area. GROHE faucet collections include a choice of concealed fittings for the basin, bath and shower. Wall-mounted faucets, featuring concealed bodies, are ideal for use with small vessel basins, while concealed fittings in the shower don’t encroach on the showering area due to their shallow profiles. Added functionality to enhance the user experience is what sets GROHE apart from our competitors. The shower arm on all GROHE shower systems can be rotated 360º, so even if the location of the hot an cold water outlets means you have to locate the system close to the corner of the shower, the head can be moved into a comfortable position for showering – perfect for retrofit projects where moving pipe work would increase the cost of the project.